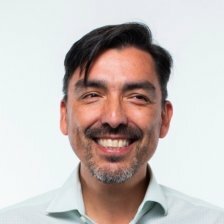 In his role as Director of Products and Analytics at Mitie, Alejandro is responsible for developing new and innovative solutions to help organisations to improve the performance of their workspaces through digital transformation, using emerging technologies such as the Internet of Things and Machine Learning. With over 20 years of professional experience, Alejandro has worked extensively in the UK, LATAM and EMEA, advising and delivering solutions to Fortune 500 companies in areas such as strategy, market and investment analysis, product development, performance improvement and transformation programs. Alejandro holds a degree in Civil Engineering with Electronics, a Master in Business Administration, and a MSc in Innovation and Technology. He has written articles and opinion pieces in industry magazines, and delivered talks digital technologies and the future of the workplace. Large-Scale IoT deployments: A Journey into the Unknown?